Take your adventures up a notch with AVA’s Upper Clear Creek Half Day Rafting + Via Ferrata Package. Intermediate rapids of the Phoenix stretch on Upper Clear Creek will have you challenging some rapids all morning, then you’ll get to try your hand at mountaineering and assisted rock climbing on our Via Ferrata tour. 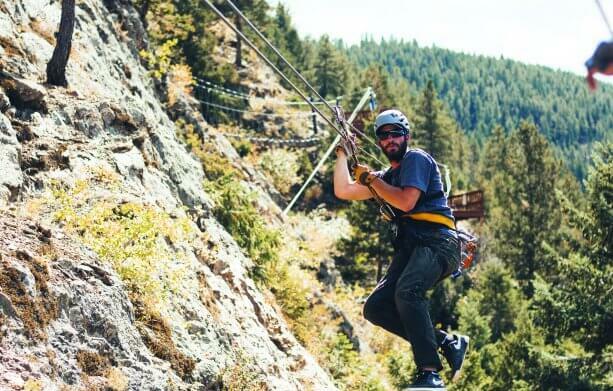 With our Idaho Springs outpost just thirty minutes west of downtown, you won’t have to venture far for an action-packed day. Less than 30 minutes from Denver! At AVA Rafting & Zipline, we believe you should know what you’re buying and how much you’re going to spend. We believe in added value to make your experience special. We don’t want you to feel “nickel and dimed” when you show up for your trip with us. That’s why we provide wetsuits and splash jackets free of charge on your Upper Clear Creek Half Day trip. You’ll pay over $20 per person with some other outfitters. 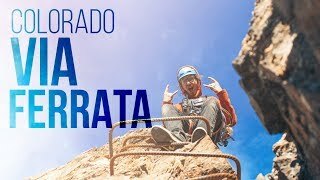 Your Via Ferrata adventure also includes everything you need. We try our best to prepare you with gear lists and suggested things to bring so that you don’t end up paying for unneeded add-ons.